When it comes to a cinephilic appreciation of comedy, who better represented it than The Total Film-Maker, Le Roi du Crazy, the Nutty Professor? 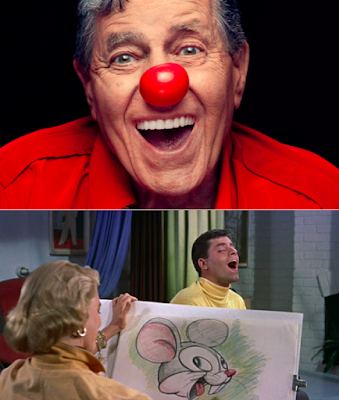 Jerry Lewis was a totem in the hall of cinephilia and with good reason. No one worked harder to create an entirely unique style of filmmaking that no one else could come close to matching—to the ire of some but to the adoration of a select few. While his collabrators—Dean Martin, Hal Wallis, Frank Tashlin, and Martin Scorsese among others—are equally legendary, it is impossible to take one's eyes off Jerry and what he did, breaking the rules in order to get the funniest of laughs. To celebrate the passing of one of the last titans of Classical Hollywood (even though he never seemed to fit it), Jaime Christley of The Village Voice and Slant Magazine joins Peter to discuss elements of what made this filmmaker so unique and why they still can't stop laughing at his gags. "We have an impulse to simply collect and preserve. We don't want things to disappear." For many historians, what made the 20th century so unique from the time before was the idea of the visual, the idea that we as a society began responding to images (both still and moving) rather than text. This visual life did not just happen through Hollywood, but in films made by advertising groups, for school children, and by families across the world as we documented the world's beauties and scars. Saving a particular section of these images has become the goal of Chicago Film Archives. The institution has spent over a decade finding and saving the images that define the Great Lakes city and the surrounding area, demonstrating how visual images capture and display American life through the 20th century. In this episode, Peter sits down with multiple members of the archives (Michelle Puetz—Curator of Programming; Brian Belak—Collections Manager; Amy Belotti—Digital Collections Manager) to discuss its history and its future. They end their conversation examining one of its most prized works, American Revolution 2, in which ideology along the left becomes an increasingly impossible debate.